Retirement in the Philippines offers some of the best places to live. These places make living in the Philippines more fruitful. 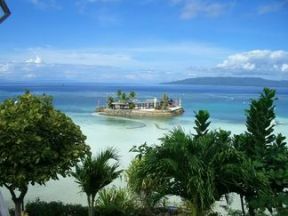 Vibrant culture, nature and modern living, beaches and unusual travel destinations await Filipino retirees. The Philippine Retirement Authority or PRA manages the retirement program. It grants the Special Resident Retiree Visa or SRRV and offers a range of services, benefits and comfort to make your stay truly worthwhile. From Batanes to Tawi-Tawi, the country offers more value than somewhere else. You can choose from small towns to big cities such as Manila or Cebu. Condos, apartments or houses nestle in nature or in urban cities. Raw lands, lots or islands can transform into your perfect paradise. You can find prime spots even if you are on budget retirement. Demand for good locations pushes real estate prices up but it is surprising to find bargains even in big cities. Read here why Philippine real estate is a bargain. Moving to the Philippines makes you within reach of the things that you miss most about being in the country. So, with 120 cities, how will you spot the best places in the Philippines? Taking a quick survey is the best way to do it. No, this is not a survey of properties or houses for sale in the Philippines. Not yet. MoneySense magazine listed top 20 'places to live' in one of its issues. 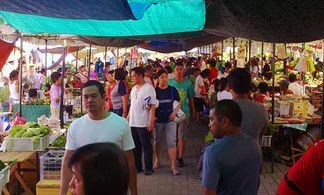 It derived the list from surveys on human development and competitiveness ranking of cities in the Philippines by the Human Development Network (HDN) and the Asian Institute of Management (AIM) Policy Center in that order. They listed the top 20 cities based on their average ranking using those criteria. The list came as a surprise. Eight Metro Manila cities made it to the list. Only six cities came from outside Luzon - three each from Visayas and Mindanao. Let's use this list for best places to live retirement in the Philippines as a start. Note: After Philippine typhoons 'Ondoy' and 'Pepeng' that flooded most of Manila, nearby areas and northern Luzon, the ranking would never be the same. But at least we have something to start with. Read here for tips on buying houses in the Philippines that will be safe and flood-free. You will not see the MoneySense ranking here. Instead we'll go places from north to south in the Philippine map. Click on the "+" sign at the bottom right hand corner to enlarge the Google map below and click a marker to pop up the name of the place. I'll describe these places one by one. Subscribe to my RSS feed (see left column), Filipino Blog or fill up the form below for the E-zine to get the best places of retirement in the Philippines as they go online. I promise to use it only to send you Overseas Filipinos.